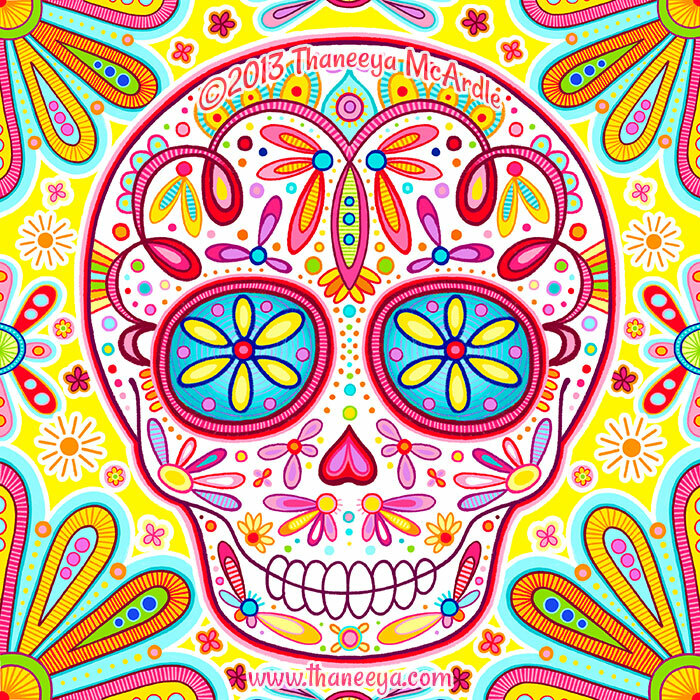 Check out all the art that’s featured in my 6 Sugar Skull Calendars going all the way back to 2014! 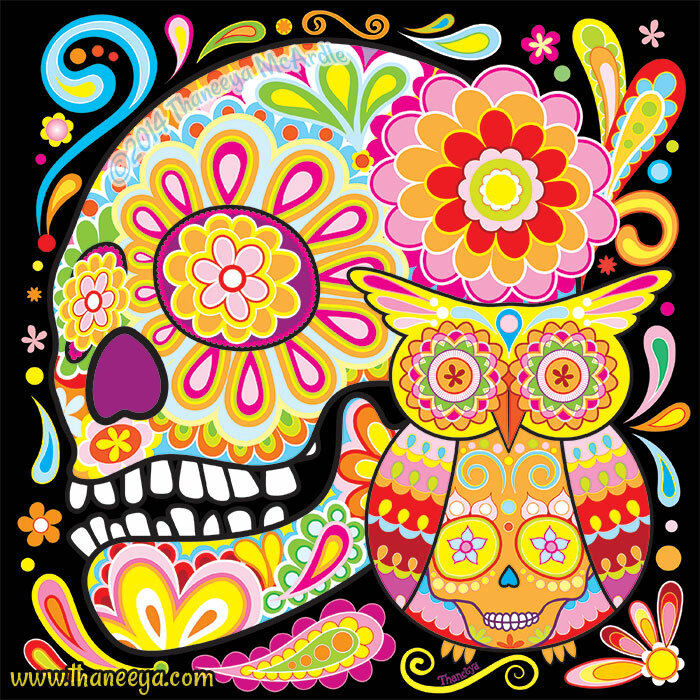 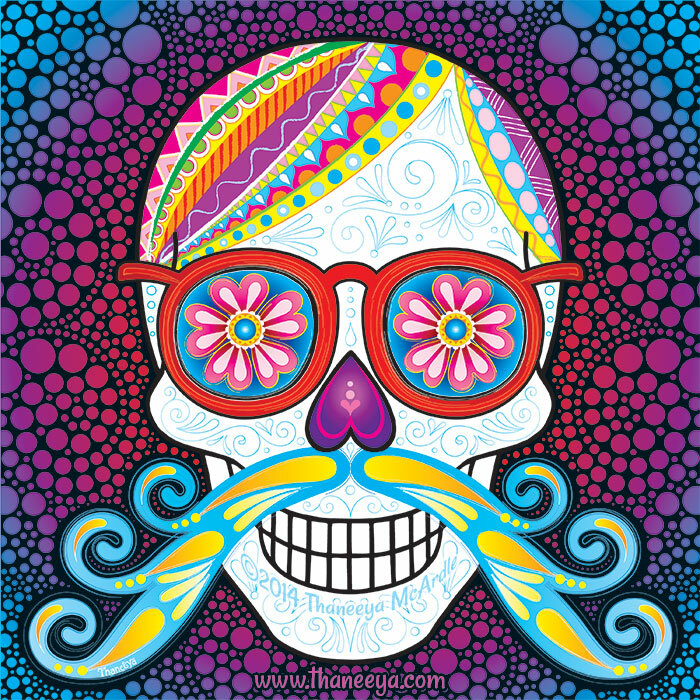 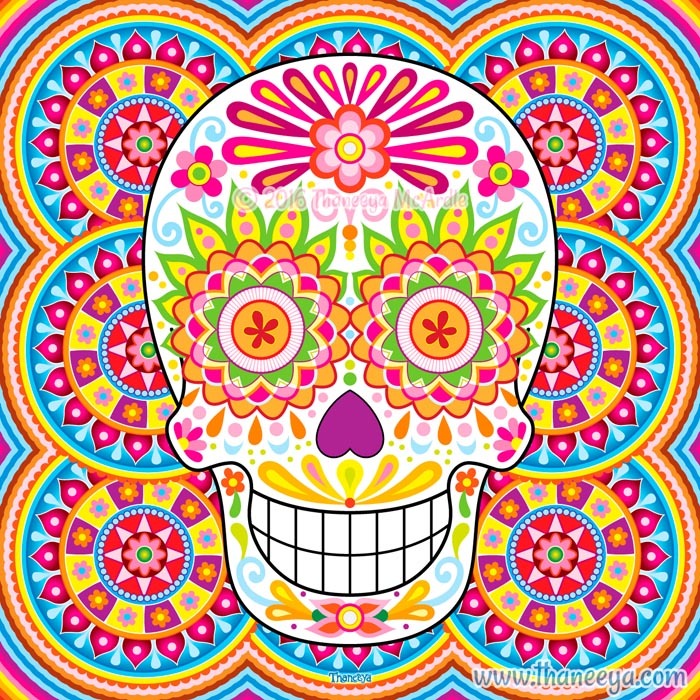 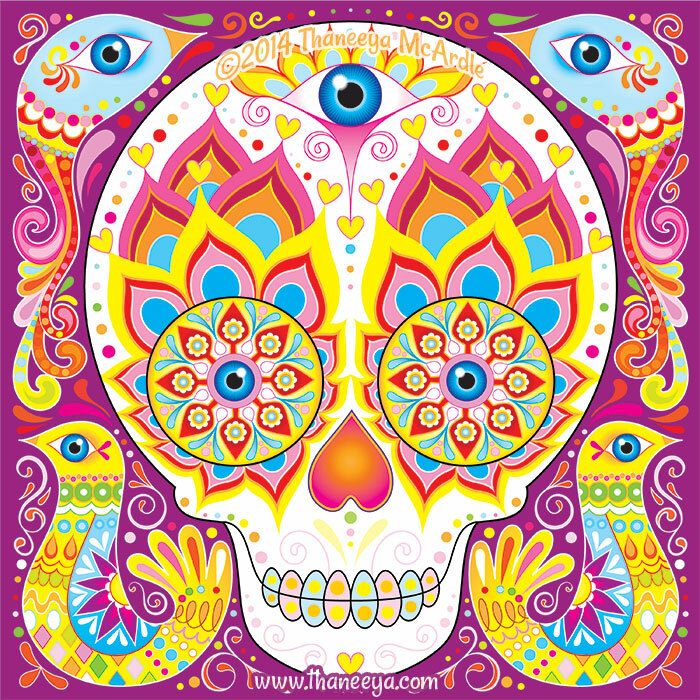 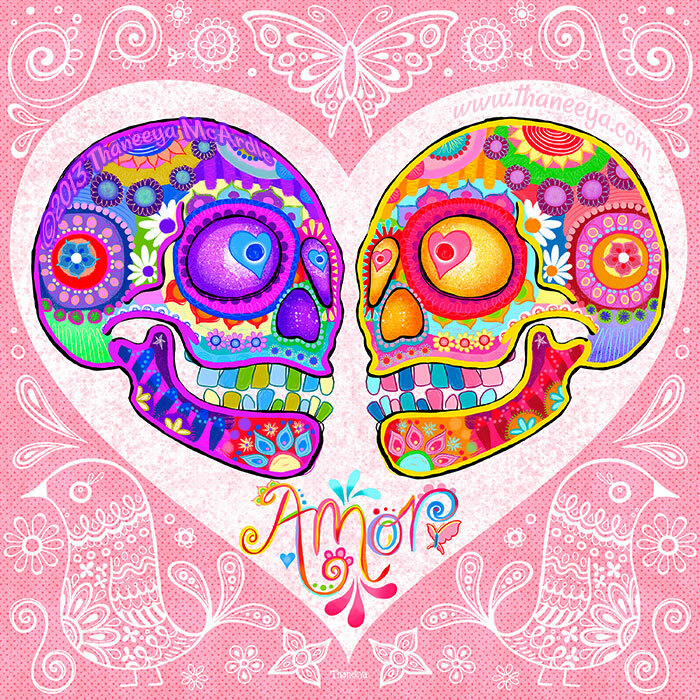 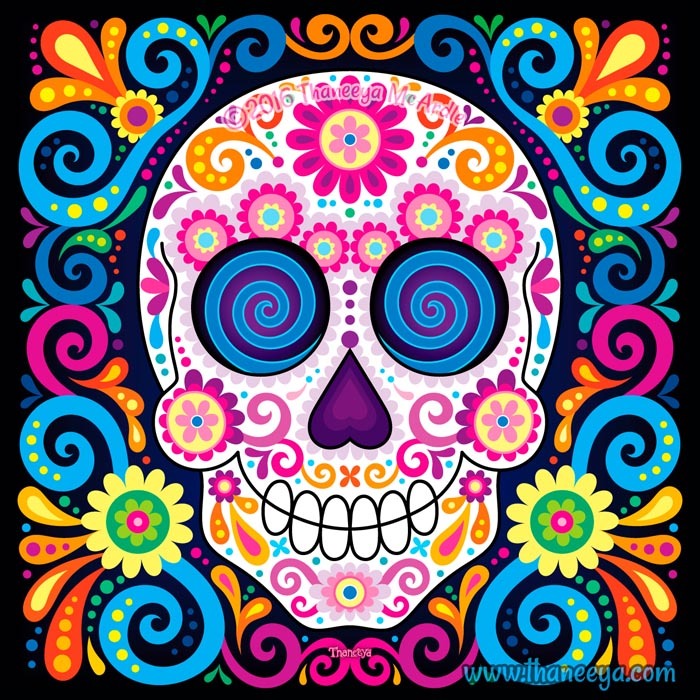 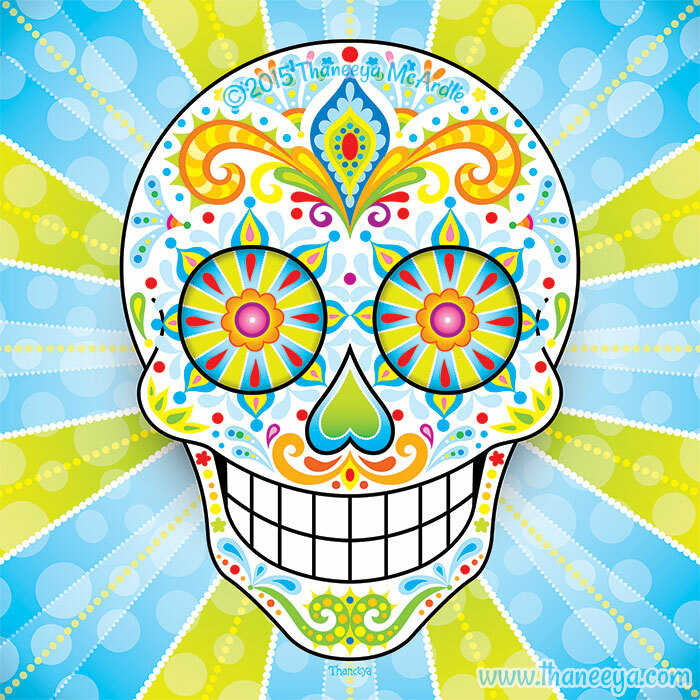 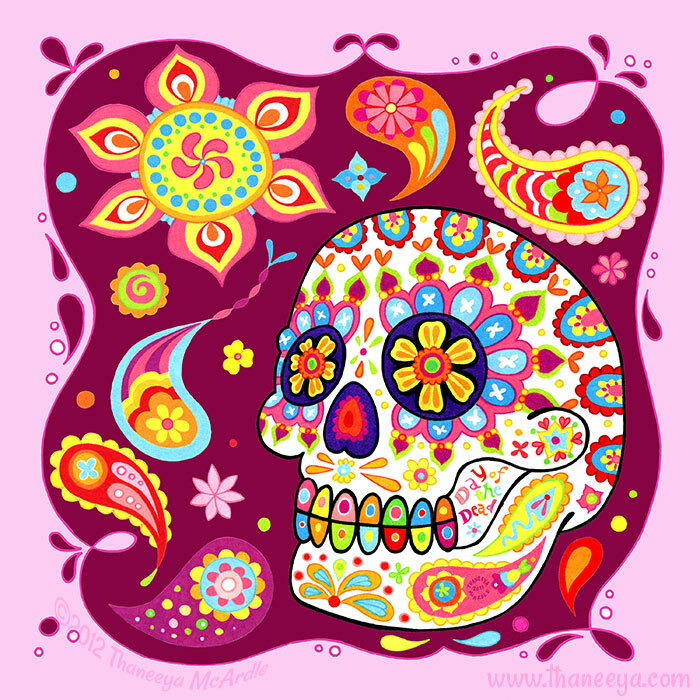 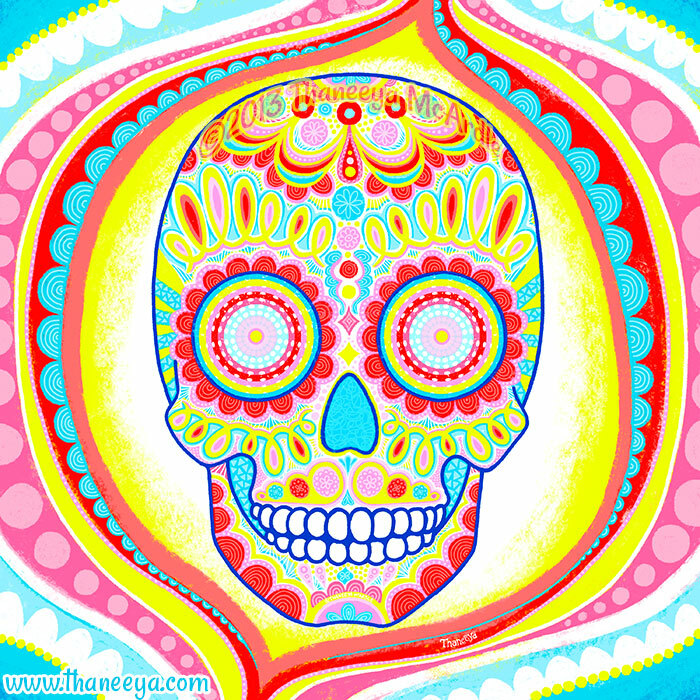 I created my first sugar skull art back in 2005, and since then I've created over a hundred more! 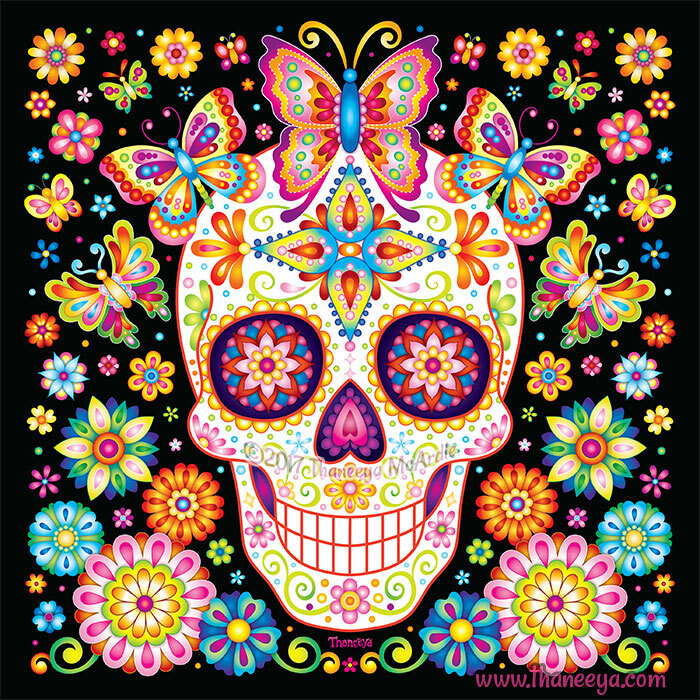 In 2012 I was approached by Andrews McMeel about publishing a calendar of my sugar skull art - an offer to which I excitedly said yes. 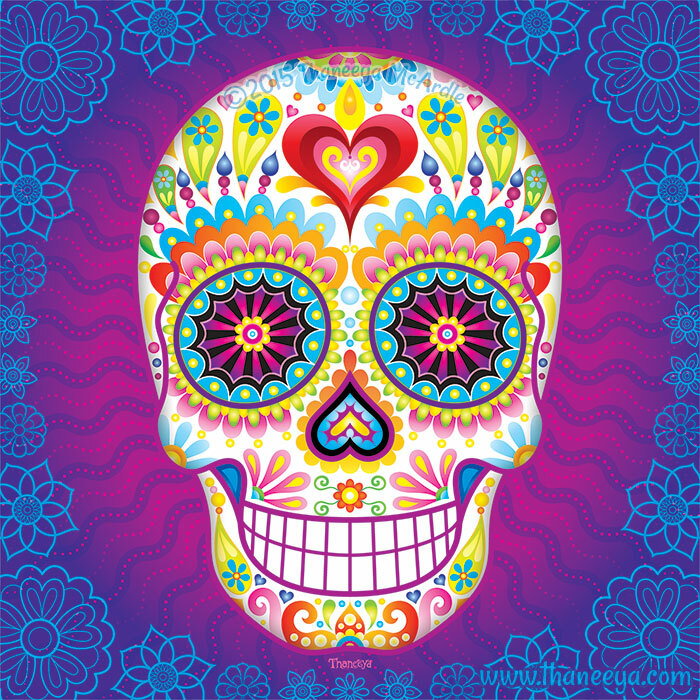 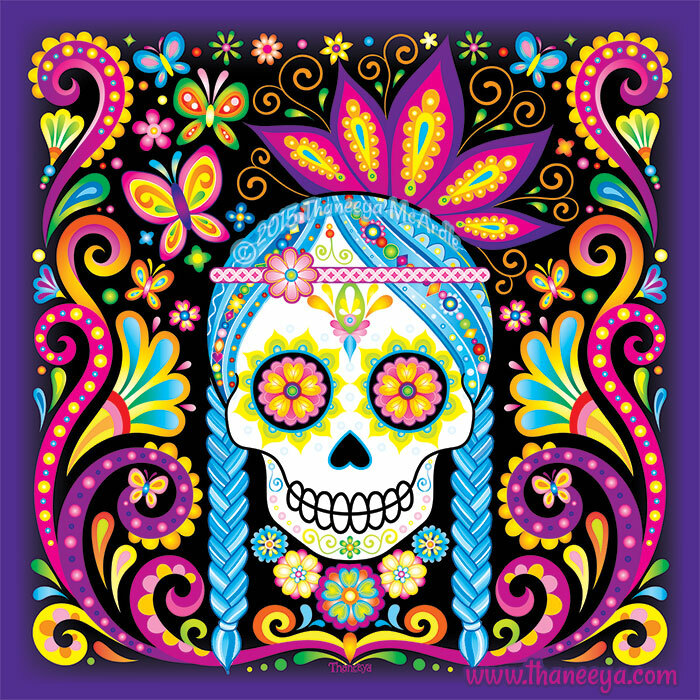 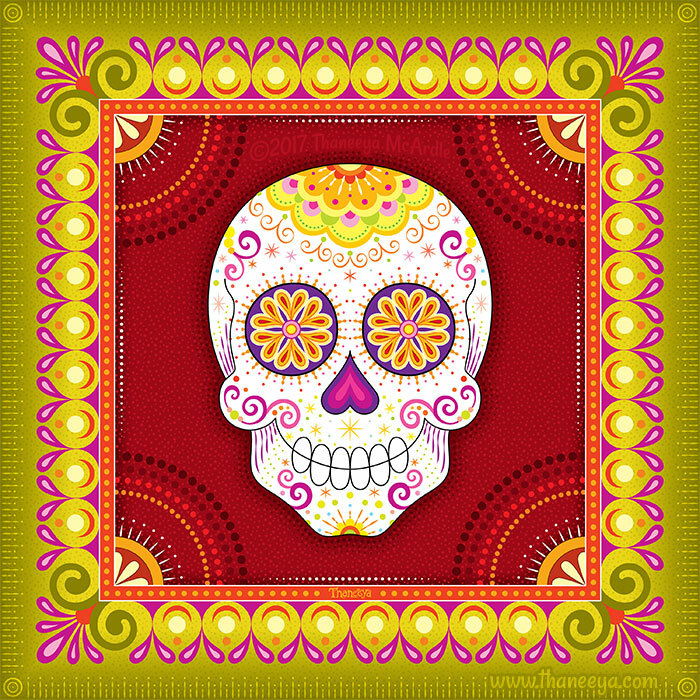 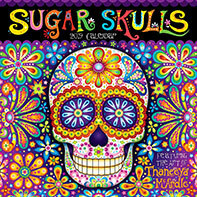 My first Sugar Skulls Calendar was released for 2014 and each year since, my publisher has asked me to create a new one, which is a real honor. 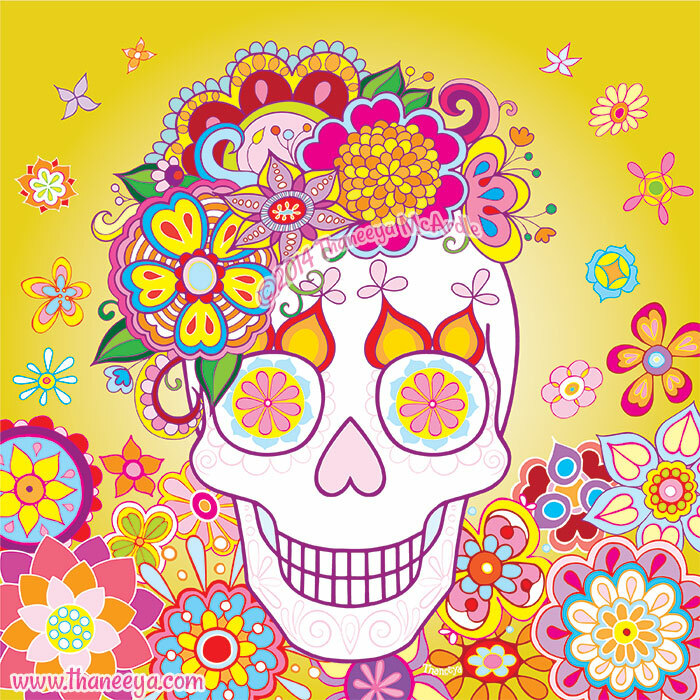 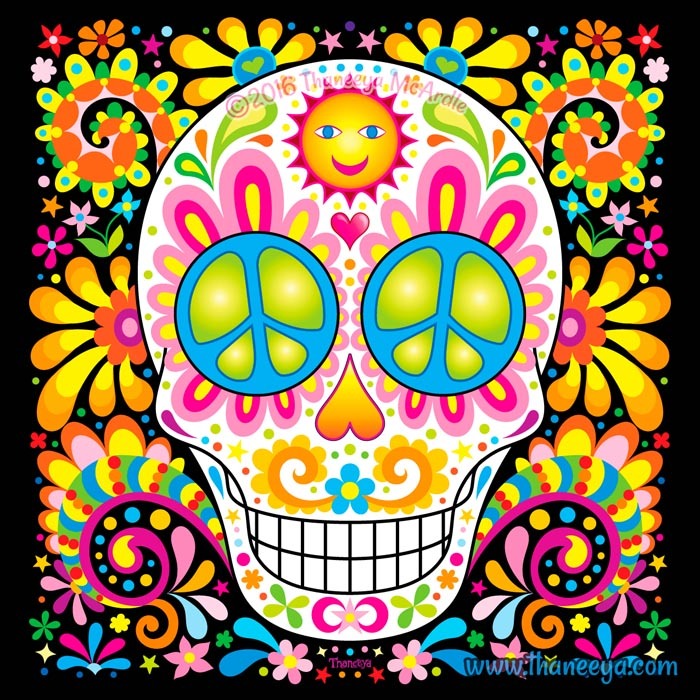 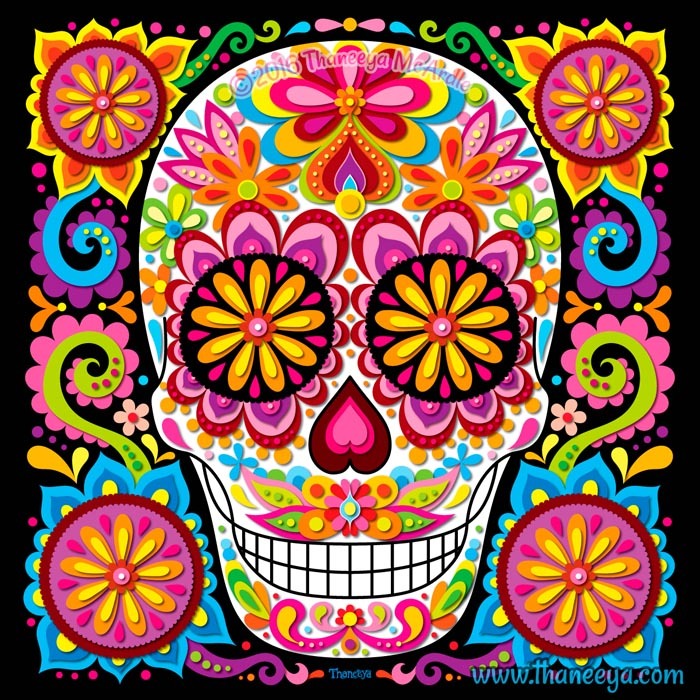 I'm currently working on my 7th Sugar Skull Calendar (the 2020 edition)! 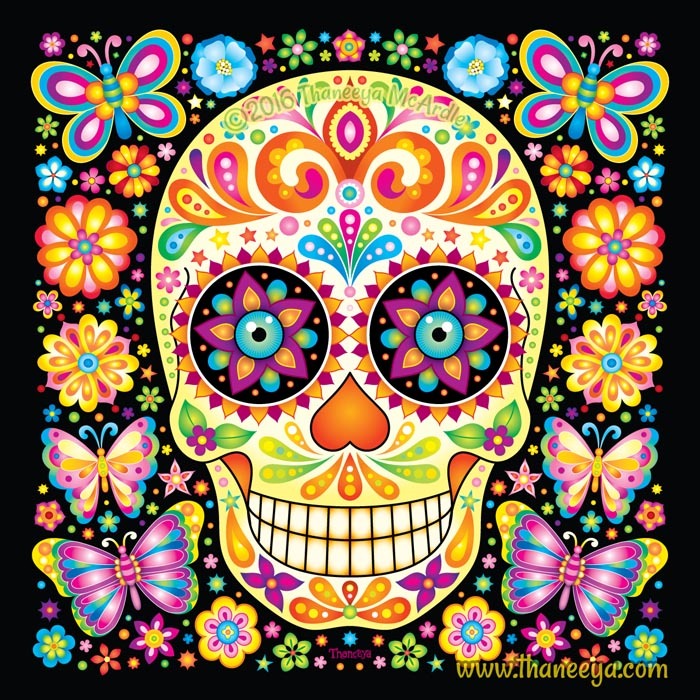 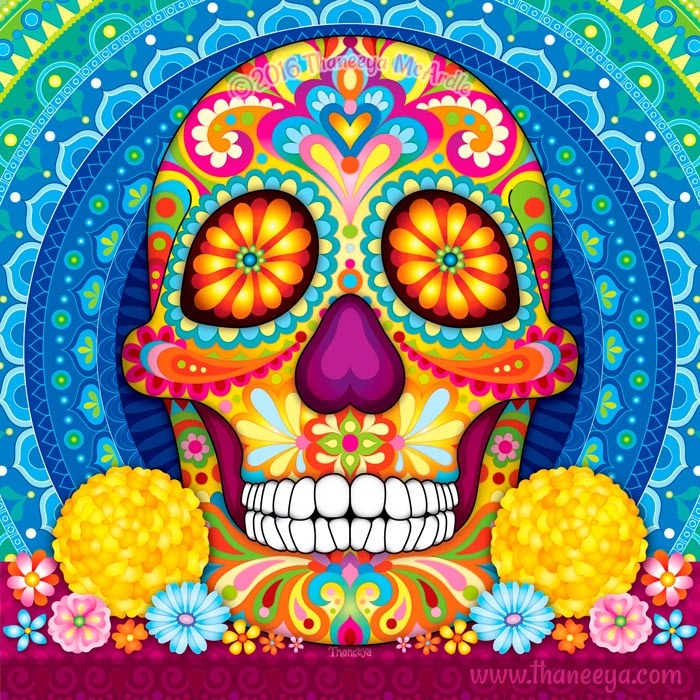 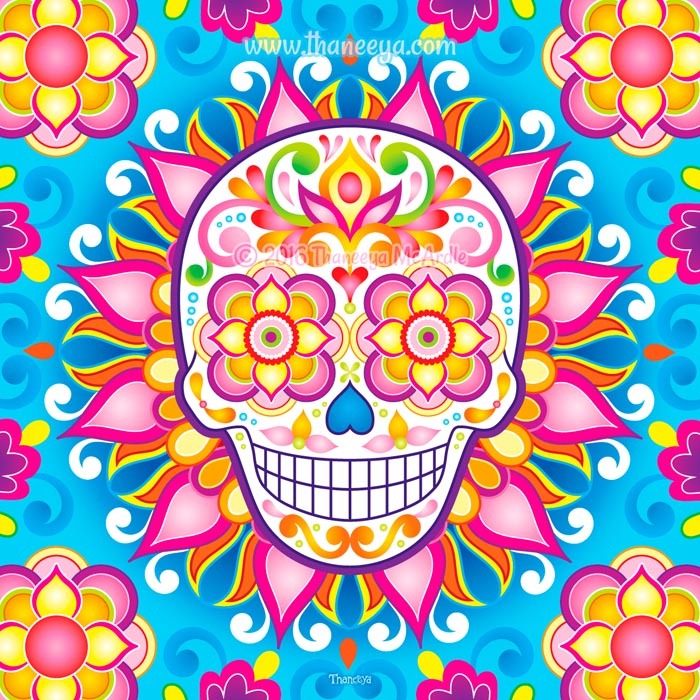 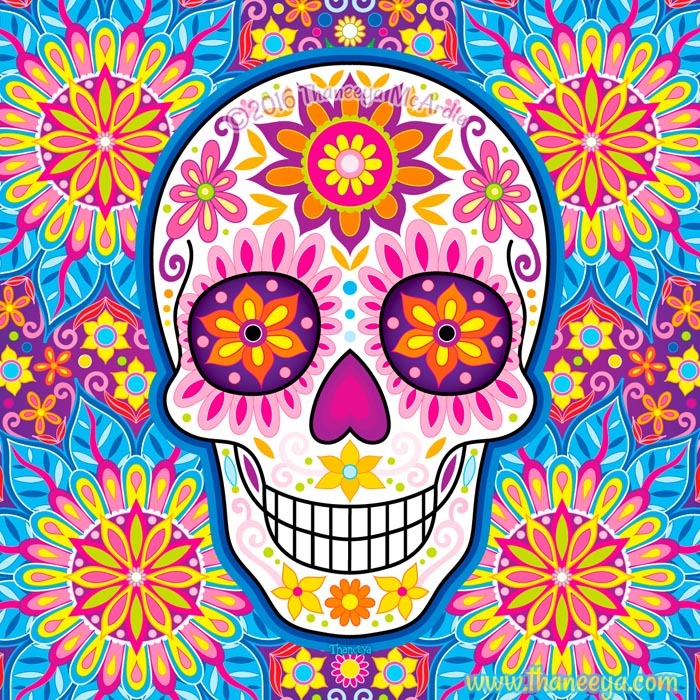 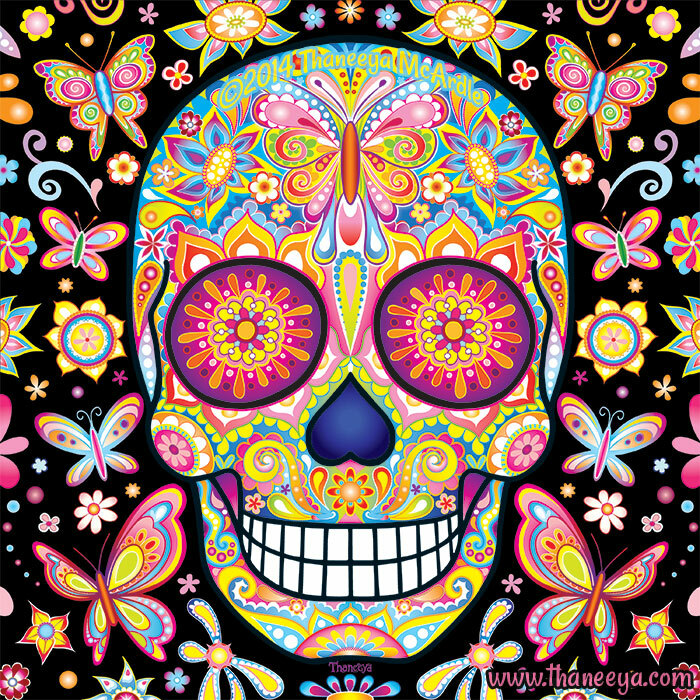 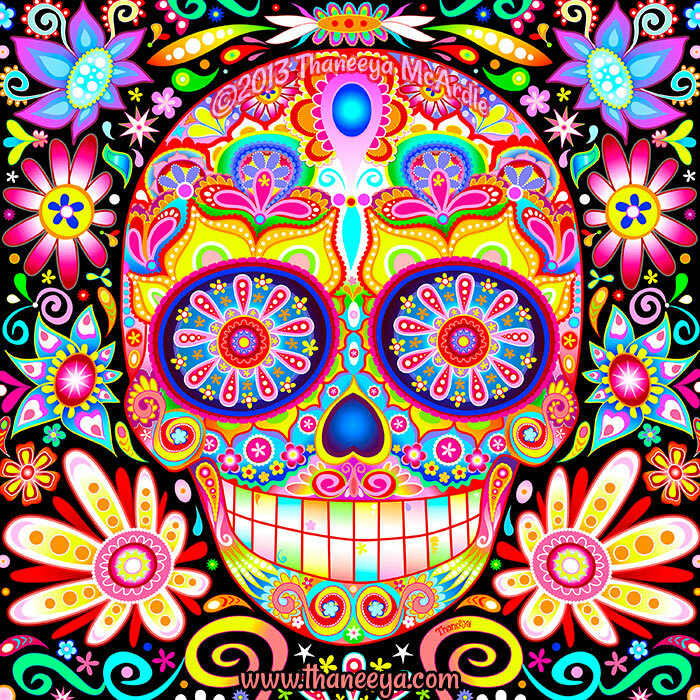 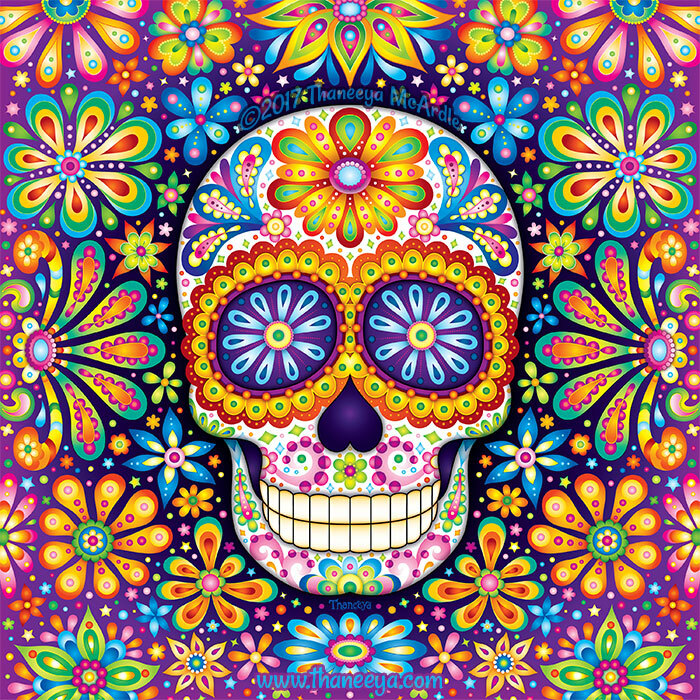 If you're interested in collecting my sugar skull art, I've created this page as a handy reference so you can see which artworks appeared in which calendars. 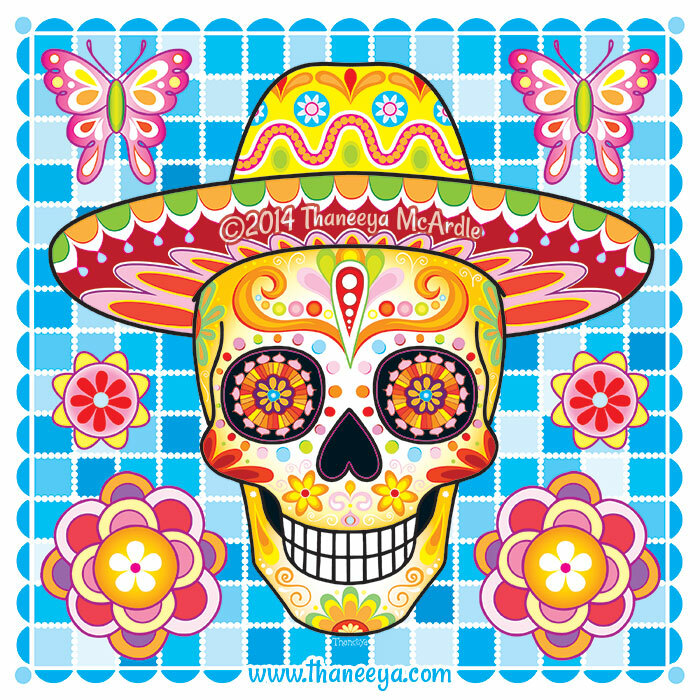 Although the monthly grids might not be that useful after the year has passed, these calendars are still an inexpensive way to acquire 12-13 new sugar skull prints for your home/office decor! 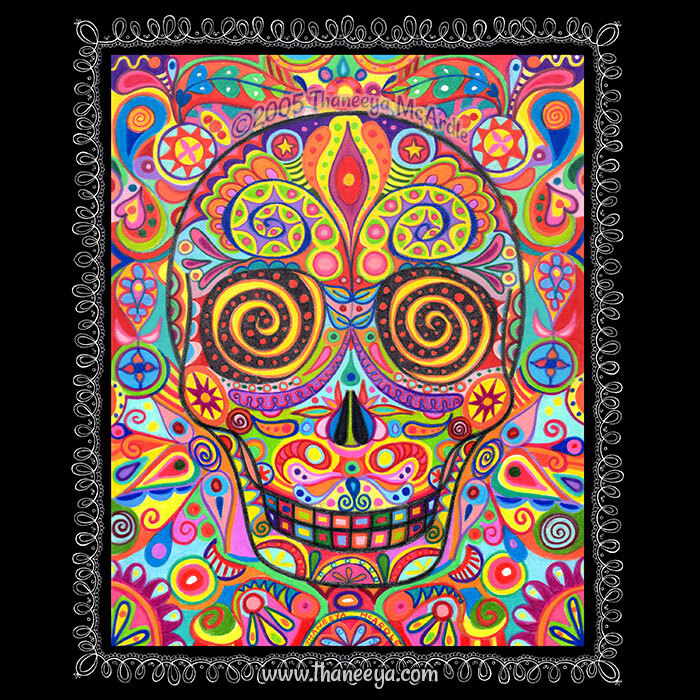 I've provided links below for Amazon, where old calendars might still be available. 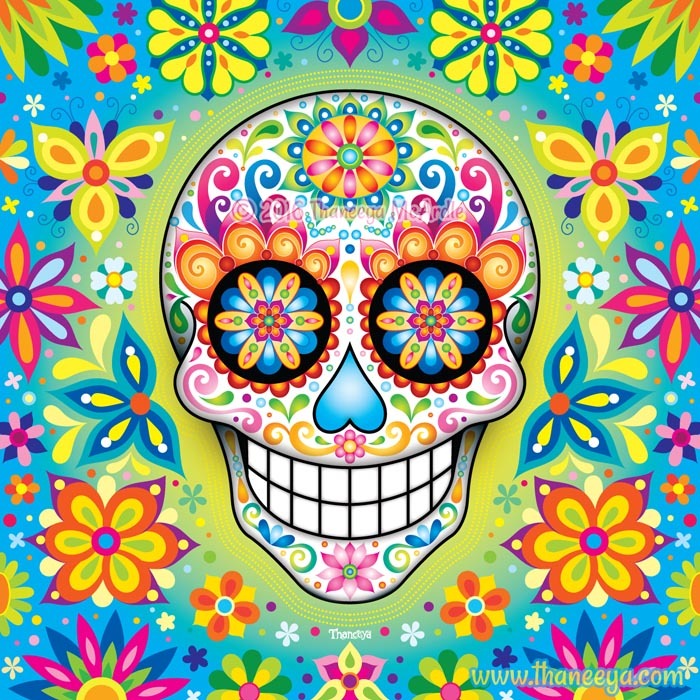 You could also look for them on Ebay. 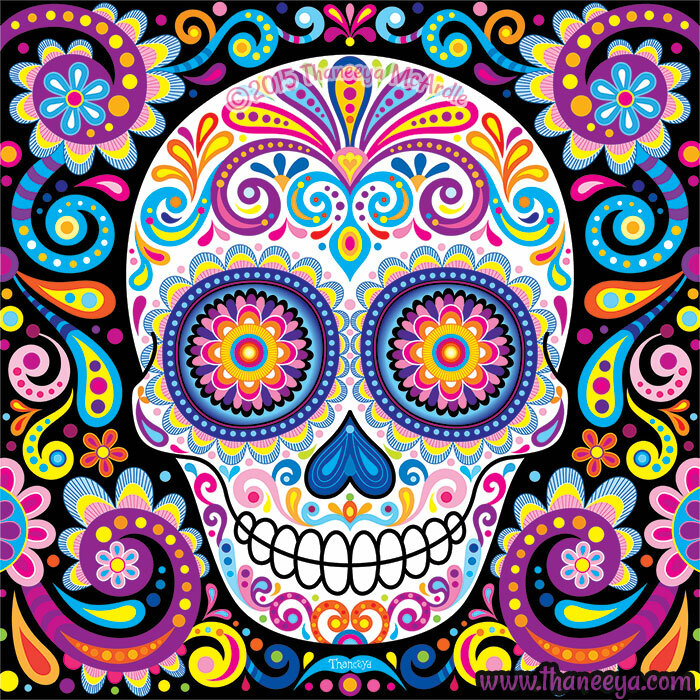 If you can't find what you're after, you can try contacting my publisher, Andrews McMeel Publishing. 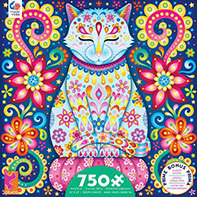 My newest calendar! 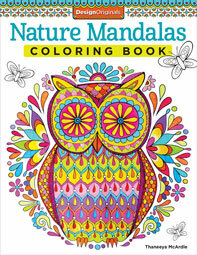 Available on Amazon and Book Depository. 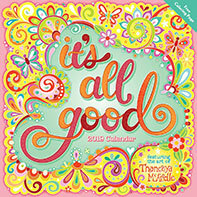 You can view a flip-through of this calendar here! 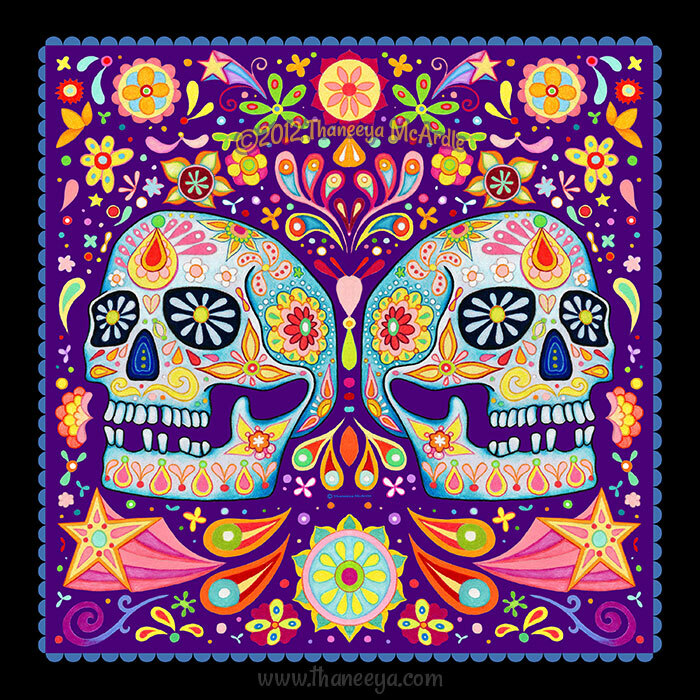 My 2018 Sugar Skulls calendar is still available on Amazon and Book Depository.